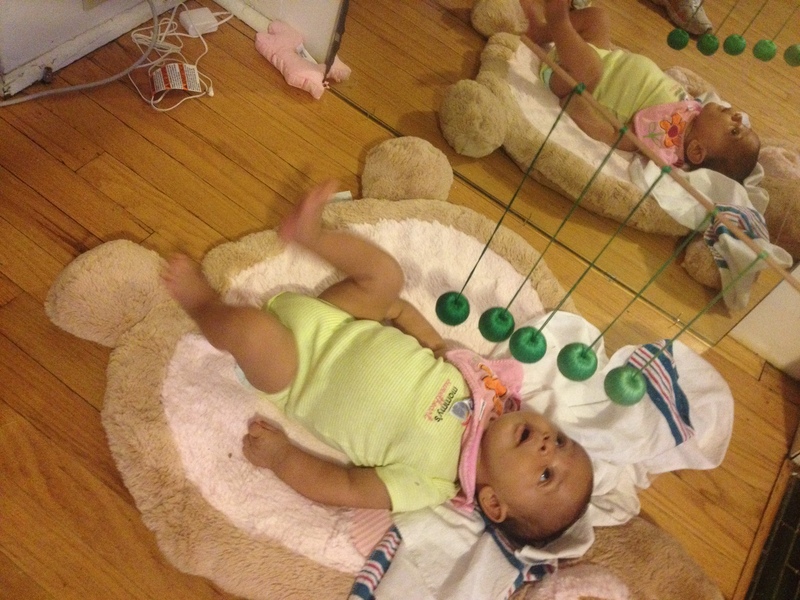 Our first feature shows a reader’s little one using some of the mobiles I discussed in this post. You can also see the movement mat and mirror in the last picture. 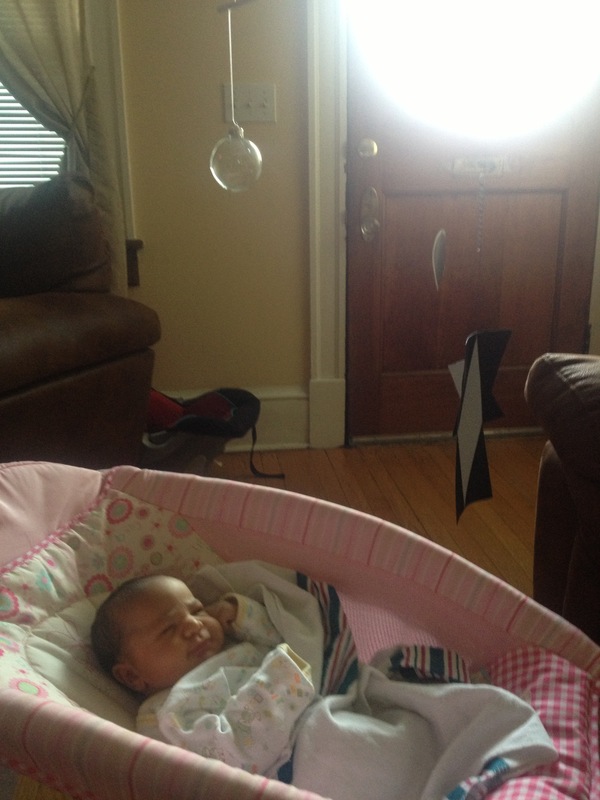 I have also included some videos of the baby interacting with the mobiles. I think it’s made her a content baby in general. 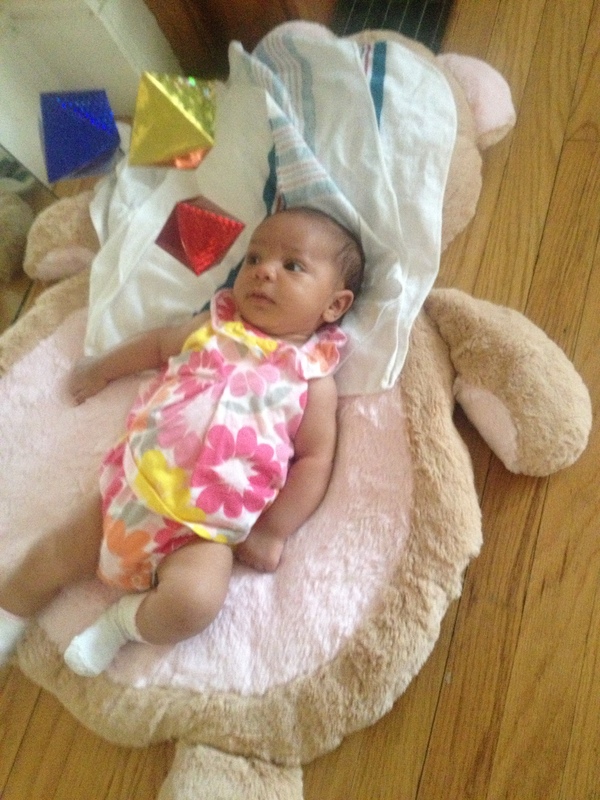 Her being able to lay on her own n not need to b “entertained”. I have also loved not having to physically hold her constantly. Allowing her to be on her own and see things herself rather than us always having to figure out ways to keep her from being bored. She’s able to “entertain” herself by observing things around her. The biggest thing she wanted to share was that you shouldn’t expect your child to concentrate for 1 hour the first time. She started out for short periods and then with time was able to stay for long and like the picture says, she was there for one hour the last time and only stopped because daddy came home and wanted to play. Have you tried any of the ideas discussed on here? If yes, I would love to hear about it or answer any questions.